In this tutorial, you will learn about how to backup Instagram photos to Dropbox. Keeping a backup of your Instagram photos in the cloud is a pretty good idea if you don’t want to lose them in case anything happens to your Instagram account. So, Dropbox is one of the best cloud services which you can use to backup your photos. However, uploading Instagram photos manually to Dropbox can be a hectic task and also time-consuming. But, there is a simple way using which you can automate it. This can be achieved using IFTTT, which allows you to automate backup of newly added Instagram photos to Dropbox by making an applet. Each time you upload a photo to Instagram, it will be backed up automatically. 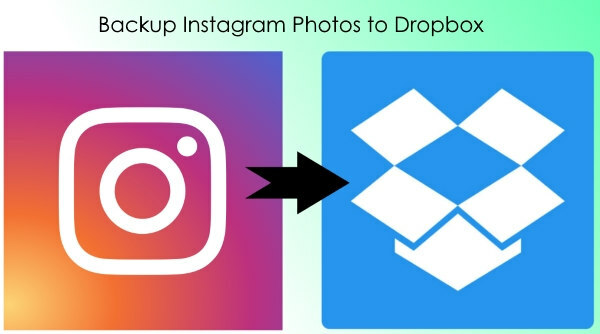 If you prefer Google Drive over Dropbox, then we have also covered a method to backup Instagram photos to Google Drive. To get started, open IFTTT and navigate to the ‘My Applets” tab. After that, you can see a “New Applet” option on the right which you need to click to create the applet. In the applet, the first thing you need to do is configure the “This” part of IFTTT. For that, click on “This” and choose “Instagram” as the trigger channel. 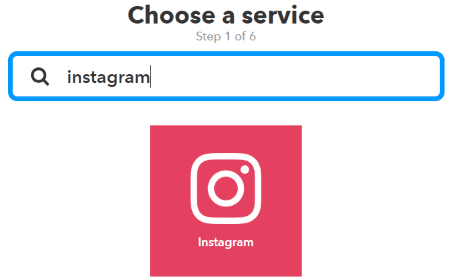 Then connect your Instagram account to IFTTT by signing in. 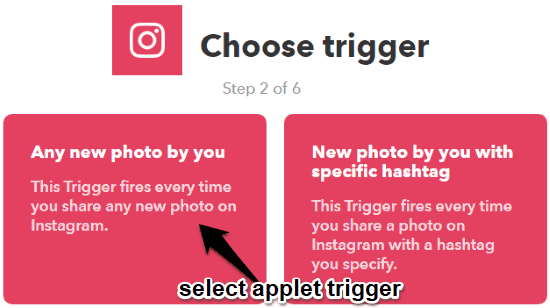 When you do that, it will show you the list of triggers associated with Instagram like “Any new photo by you”, “New photo by you with specific hashtag”, “New photo by you in area”, etc. Now, what you need to do is select the applet trigger as “Any new photo by you”. 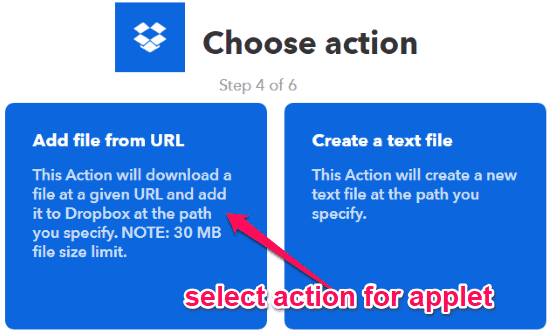 Once done, you can move to the “That” part of IFTTT and select Dropbox as the action channel. Now, let me explain how to setup Dropbox for photo backup. To start, click on “That” button and then search for Dropbox in the list of supported action channels. 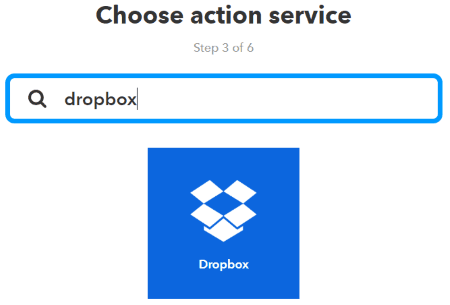 Then select it and login to your Dropbox account to connect it with IFTTT. After that, you can see various actions for Dropbox such as “Add file from URL”, Create a text file”, etc. Now, choose “Any file from URL” as the applet action in response to the applet trigger. 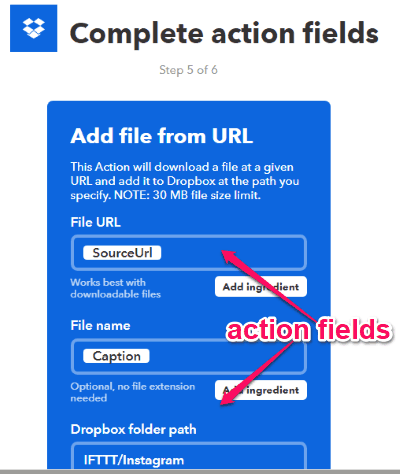 Then it will ask you to fill some action fields including the file URL, file name, and specify the Dropbox folder path where you to want to backup the Instagram photos. Then click on the “Create Action” button and then activate the applet. As soon as you do that, it will start monitoring your Instagram account for new photos. Once you upload a new photo to Instagram, it will automatically back it up to Dropbox. So, this is the simple way using which you can now automatically backup all your Instagram photos to Dropbox. No more worries about losing your photos from Instagram in case the account is deleted, blocked, etc., as you can still have a backup of them on one of the popular cloud services. IFTTT does make it super easy for you to do that.